Alligator Adjustable Wrenches. Adjustable Wr / Alligator. 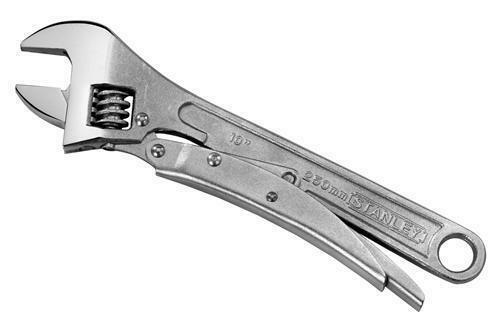 Manufactured by: Bahco, a JH Williams Company..
Black X-Wide Adjustable Wrench ergo® 8" Black X-Wide Adjustable Wrench ergo® 8"
Big-Mouth ergo® Adjustable Wrench. Black X-Wide Adjustable Wrench ergo® 8". Manufactured by: Bahco, a JH Williams Company..
Black Adjustable/Pipe Wrench ergo® 10" Black Adjustable/Pipe Wrench ergo® 10"
ergo® Combination Adjustable/Pipe Adjustable Wrench. 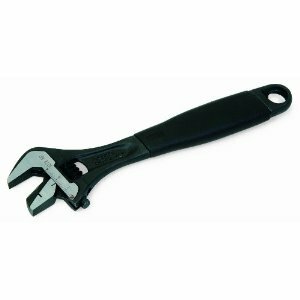 Black Adjustable/Pipe Wrench ergo® 10". Manufactured by: Bahco, a JH Williams Company..
Black Adjustable/Pipe Wrench ergo® 12" Black Adjustable/Pipe Wrench ergo® 12"
ergo® Combination Adjustable/Pipe Adjustable Wrench. 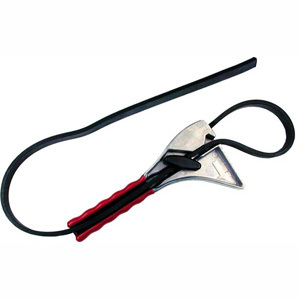 Black Adjustable/Pipe Wrench ergo® 12". Manufactured by: Bahco, a JH Williams Company..
12 POINT SAE JUMBO COMBINATION WRENCH Made of chrome vanadium alloy steel for - long-lasting durability Sizes are stamped on both sides of the - wrench for easy identification CJCW1 1-3/8 JUMBOCOMBO WRENCH SIZE:1-3/8" LENGTH:18.70"
SUPERCOMBO+ Black Finish 12 Point Combination Wrench. 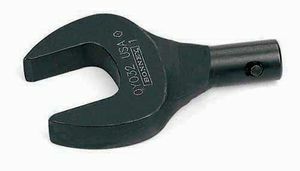 Combination Wrench 12-Pt 3 1/8" Black. 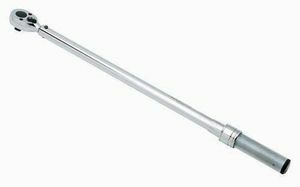 Manufactured by: Williams, a JH Williams Company..
Micrometer Adjustable Torque Wrench. 1/2" Dr 30-250 Ft. Lb. Micro-Adjustable . Manufactured by: CDI, a JH Williams Company..
Chrome Adjustable/Pipe Wrench ergo® 10" Chrome Adjustable/Pipe Wrench ergo® 10"
ergo® Combination Adjustable/Pipe Adjustable Wrench. 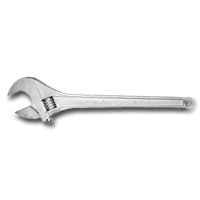 Chrome Adjustable/Pipe Wrench ergo® 10". Manufactured by: Bahco, a JH Williams Company..
Black Adjustable/Pipe Wrench ergo® 8" Black Adjustable/Pipe Wrench ergo® 8"
ergo® Combination Adjustable/Pipe Adjustable Wrench. 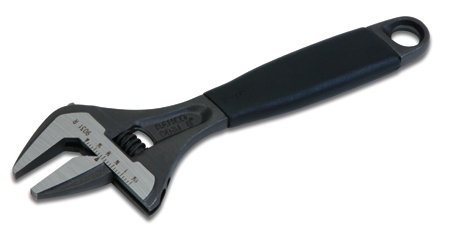 Black Adjustable/Pipe Wrench ergo® 8". Manufactured by: Bahco, a JH Williams Company..
MAXGRIP LOCKING ADJUSTABLE WRENCH Forged chrome vanadium steel is strong/durable Anti-slip mechanism locks moveable jaw and - tightly grips onto fastener Wide locking handle with knurl adjusting - mechanism for quick & precise adjustments Built-in tension spring stabilizes - movable jaw Polished chrome head & chrome plated body 85-610 LOCKING ADJ WRENCH SIZE:10"
Lugs sizes are 17mm, 3/4"-19mm, 13/16" and 7/8"
12 POINT SAE JUMBO COMBINATION WRENCH Made of chrome vanadium alloy steel for - long-lasting durability Sizes are stamped on both sides of the - wrench for easy identification CJCW2 1-7/16 JUMBOCOMBO WRENCH SIZE:1-7/16" LENGTH:19.69"
Black Adjustable/Pipe Wrench ergo® 6" Black Adjustable/Pipe Wrench ergo® 6"
ergo® Combination Adjustable/Pipe Adjustable Wrench. Black Adjustable/Pipe Wrench ergo® 6". Manufactured by: Bahco, a JH Williams Company..
Digital Torque Wrench. 1/4" Dr 24-240 In.Lb. Computorq 3 Digital . Manufactured by: CDI, a JH Williams Company..
12 POINT SAE JUMBO COMBINATION WRENCH Made of chrome vanadium alloy steel for - long-lasting durability Sizes are stamped on both sides of the - wrench for easy identification CJCW4 1-5/8 JUMBOCOMBO WRENCH SIZE:1-5/8" LENGTH:22.83"
SUPERCOMBO+ Black Finish 12 Point Combination Wrench. 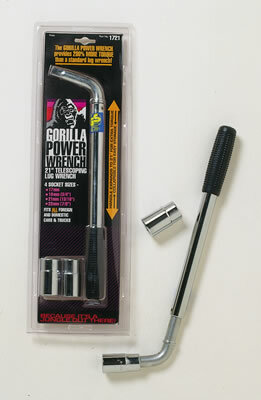 Combination Wrench 12-Pt 2-3/8" Black. Manufactured by: Williams, a JH Williams Company..
Chrome Adjustable/Pipe Wrench ergo® 8" Chrome Adjustable/Pipe Wrench ergo® 8"
ergo® Combination Adjustable/Pipe Adjustable Wrench. 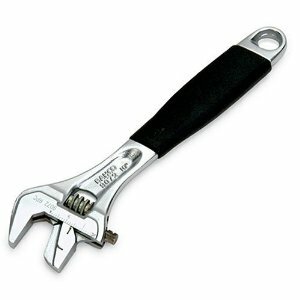 Chrome Adjustable/Pipe Wrench ergo® 8". 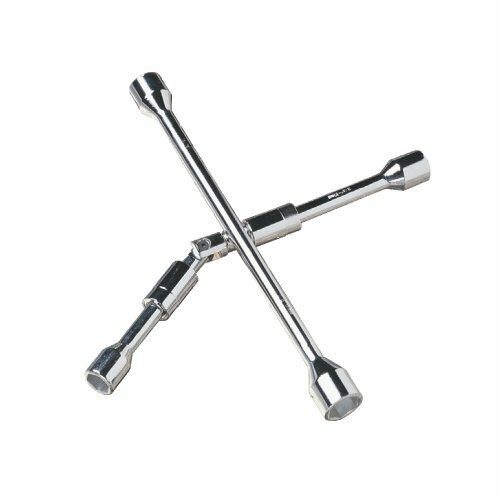 Manufactured by: Bahco, a JH Williams Company..
Open End "X", 3/4" Open End "X", 3/4"
Open End Head for Pre-Set Torque Wrench. Open End "X", 3/4". 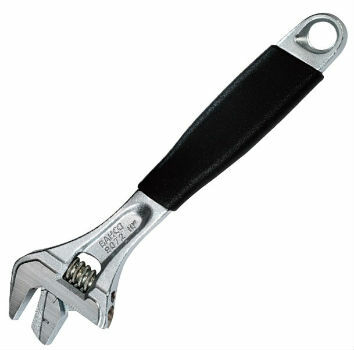 Manufactured by: Williams, a JH Williams Company..
Big-Mouth ergo+ Adjustable Wrench. 6" Wide Mouth Adj Wrench. 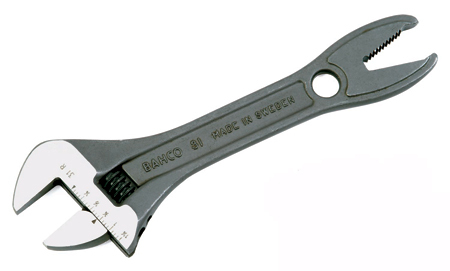 Manufactured by: Bahco, a JH Williams Company..
12 POINT SAE JUMBO COMBINATION WRENCH Made of chrome vanadium alloy steel for - long-lasting durability Sizes are stamped on both sides of the - wrench for easy identification CJCW6 1-3/4 JUMBOCOMBO WRENCH SIZE:1-3/4" LENGTH:24.02"
IRWIN ADJUSTABLE WRENCH 15 IN. IRWIN ADJUSTABLE WRENCH 15 IN. Straight Pattern Striking Wrench. 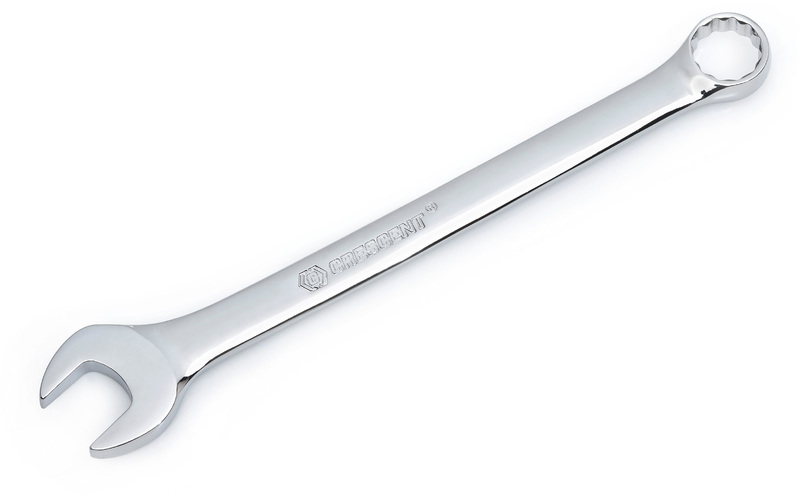 Striking Wrench 1-3/16" / 30MM. Manufactured by: Williams, a JH Williams Company.. Single Ratchet Box Wrench 1-5/8" Single Ratchet Box Wrench 1-5/8"
Single Head High Polish Chrome Ratcheting Box End Wrench. 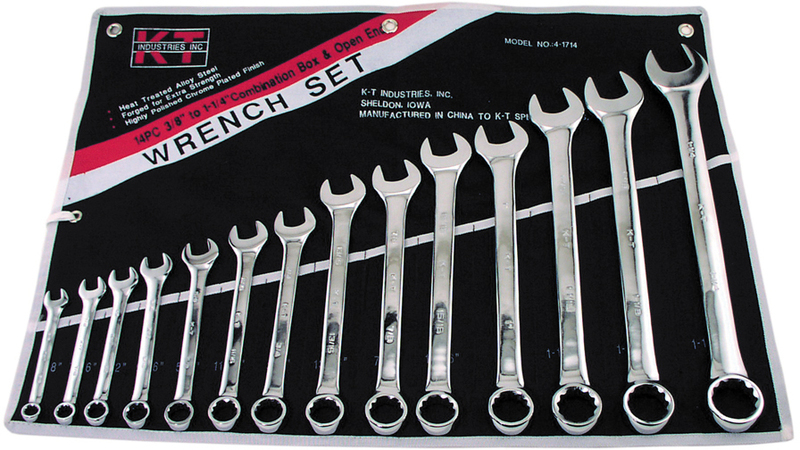 Single Ratchet Box Wrench 1-5/8". Manufactured by: Williams, a JH Williams Company..